Are you looking for some excellent treatment for dry eyelids? There are several holistic and all-natural dry eyelid remedies that can be very helpful. To determine which treatment is going to be best for you, you’ll want to figure out exactly why you are having those symptoms in the first place. From there, you can select the product or treatment that will serve you best. 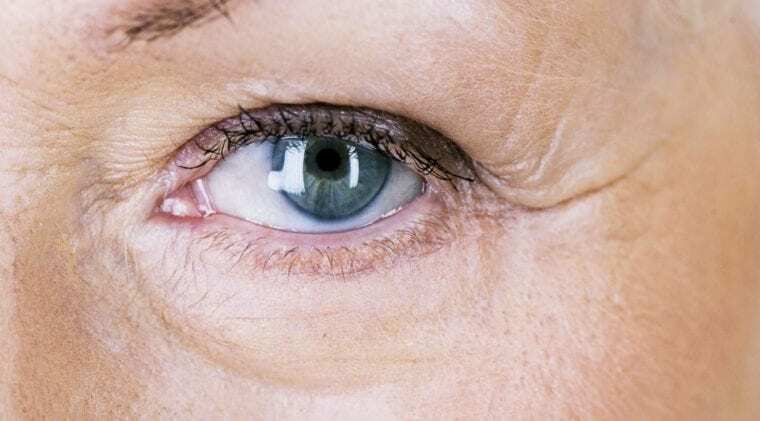 There are some serious symptoms of dry eyelids that you should be aware of. It can start with a stinging or burning sensation. When you awake you may have stringy mucus or yellow crusty material around your eyes. You might have eye redness, and your eyes may be very sensitive to light. Another common symptom of dry eyelids is feeling like you have something in your eyes that you can’t seem to get out. These symptoms can make it difficult for you to wear contact lenses or drive at night. Eventually, if these symptoms persist for a long time, they can lead to intense eye fatigue and blurred vision. There are a variety of factors that can lead to the glands around your eye failing to produce the quantity of tears necessary to maintain the correct moisture level around the eye. One of those conditions is aging. Another is laser eye surgery. Some medications can decrease tear production like antidepressants, antihistamines, decongestants, hormone therapies, and others. Alternatively, one can have damage to their glands because of inflammation or radiation. This cause for dry eyes is typically environmental or external. If you are in a dry environment that lacks moisture in the air, your visual system will have to work harder to keep your eyes moisturized. If there are high winds or smoke in the air, you may also have these issues. Blinking is the primary way our eyeballs stay moisturized. If we are engaged in a highly focused task like driving or reading, we may inadvertently blink less, causing dry eyes. Our tears are not made only of water. They are a mix of oils, water, and mucus. If any of these materials aren’t being produced properly, you may have dryness in your eyes. One condition that can cause this is an issue with your meibomian glands. These are the glands that produce the oil for your tears, and they can become clogged. This clogging is caused by a variety of conditions. Blepharitis is one of the most commonly diagnosed issues that causes dry eyes and dry eyelids. It is a condition caused by bacteria around the eye, which can be caused by other conditions like rosacea. Tearing and crusting are symptoms that can stem from blepharitis. Blepharitis can be either anterior or posterior. Anterior blepharitis causes issues where the eyelashes are attached to the eyelid, on the front of the eyelid. Bacteria and dandruff can cause this. Posterior blepharitis effects the inner eyelid that makes contact with the eyeball. It indicates issues with the meibomian glands. This is the technical term for the idea that your dry eyes are being caused by contact with an irritating substance. Depending on the substance you’ve come in contact with, irritants can cause dryness, red eye, and flaky skin. There are a variety of substances that can cause contact dermatitis. Your dry eyes could be caused by any of the products you use on your hair including shampoo, conditioner, and styling products. Dry eyelids can be caused by face washes and makeup. They can also be caused by sunscreen and certain moisturizers. Chlorine exposure from swimming pools can be irritating. Finally, dust can be a serious issue for those dealing with dry eyes and eyelids. 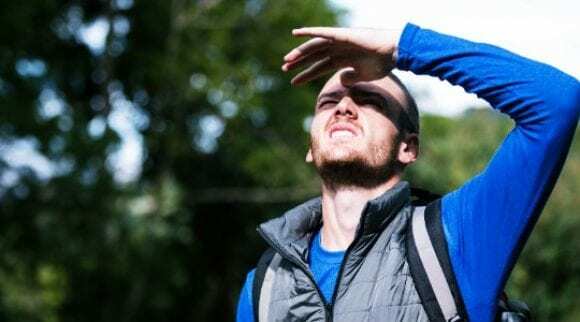 These irritants can sometimes be difficult to identify—any time you touch something and then itch or scratch your eyes, you can make contact with the very thing that is making your eye itchy in the first place! This can also appear at any time in your life. Even if a certain product never caused an allergic reaction before, your body is always going through changes. Later in life it could become very irritating for you. Atopic dermatitis is another condition that typically occurs in youth, especially very young children. It can be a chronic condition that mimics contact dermatitis. This condition is chronic but can be managed. The symptoms that can appear from this condition include redness, oozing, dry skin, scaling, and itching. Regardless of the causes of dry eyes or dry eyelids, if you are experiencing these problems, then you are going to be seeking treatment. It’s a truly irritating condition that can really lower your quality of life. One of the first things to look at is your environment. If the air around you, in your home or office, is dry, this could be the culprit. Purchasing a humidifier can really help. Overexposure to hot water can also cause dryness around your eyes and face. You should also ensure that all of your bath and beauty products are hypoallergenic. If you have a regular makeup routine, it’s very useful to begin scaling back whatever eye makeup you may be using to determine if one of those products is causing your inflammation. During this time, be very cognizant of when you touch your eyes and eyelids. Keep your hands clean and dry when you have to touch anything. A great at-home dry eyelids treatment if you are having a flare-up of blepharitis or dry eyelids is using a warm compress. Warm compress masks can be purchased online and easily heated in the microwave. Cool compresses can also be helpful. Because of the variety of causes of dry eyelids, you can experiment with different approaches and see what is most helpful for you. When do you need to see a doctor for dry eyelids treatment? This is important if you have a condition that is getting progressively worse or does not change even after you make the environmental changes listed above. 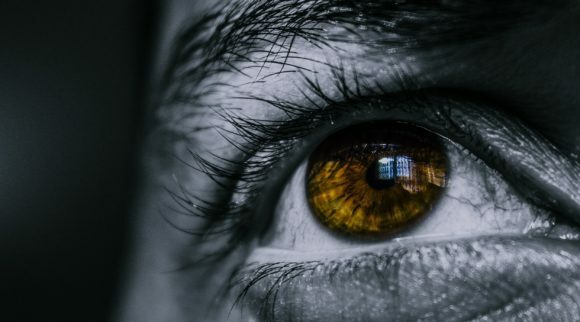 Furthermore, if your dry eyelids are negatively affecting your ability to complete your daily tasks or just slowing you down in general, it’s a good idea to see a medical professional. When you visit the doctor, you can explore what may be the underlying causes of your dry, irritated eyes. 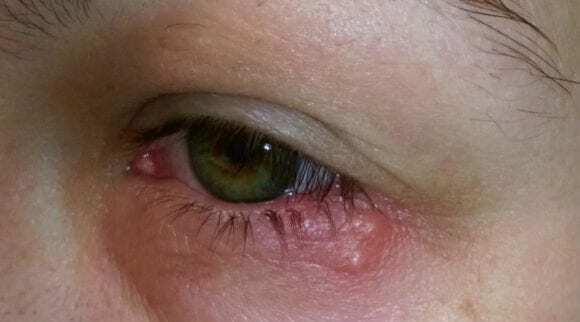 Once the cause is determined, the doctor may prescribe a variety of treatment methods, including eye drops, eye wipes, eye cleansers, and eye moisturizers. There are a variety of products on the market today that were developed to treat those with conditions that are causing chronic dry eyelids and eyes. These products take a number of forms. There are eye drops, eye wipes, eye cleansers, and eye moisturizers. Below, you’ll see details about many of the top products on the market and how they could assist you with your dry eyelids treatment. The key ingredients of this dry eyelids treatment include hypochlorous acid, electrolyzed water, and sodium chloride. All of those ingredients work together to reduce the contaminants and microorganisms around the eye. The ingredients are non-irritating, hypoallergenic, and very refreshing. It’s one of the reasons this has become such a popular product on the market today. If you know that your dry eyelids are being caused by debris or other issues like styes, blepharitis, or meibomian gland dysfunction, this is an excellent product to choose. This product can even help with symptoms of rosacea and eye irritation. It’s something you can use after you remove your make-up to ensure there is no leftover bacteria or other issues. 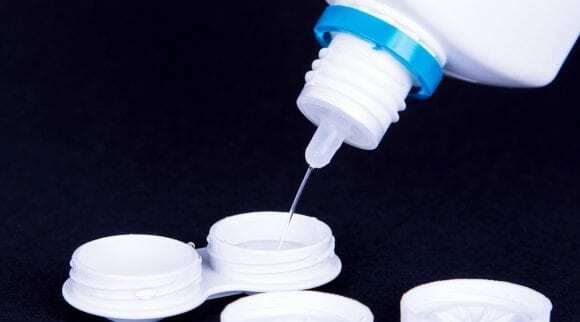 It’s also useful to relieve discomfort associated with contact lenses. And if you’ve had cataract surgery, this is a great product to utilize. This product stands out among the others first because of the charitable mission of the company. You can feel good knowing that a part of your purchase is going towards helping someone’s vision who is in need. Further, this cleanser has been formulated to help with some of the most challenging eye and eyelid conditions. For those reasons, this dry eyelids spray is a great choice. 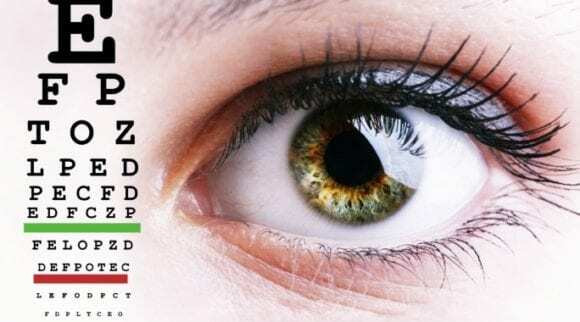 This unique product has been developed by Dr. Tanya Gill, an optometrist who founded this company to help individuals who have issues with their eyes. She understood how many individuals were suffering from dry, irritated eyes, and she wanted to create an effective and healthy product to help. She recognized that one of the issues contributing to patients’ dry eyes and dry eyelids was the chemicals in their eye makeup. She decided to create a product that was vegan, cruelty free, gluten free, and paraben free. She also wanted to ensure there was no retinol in the product, since that can cause damage to the skin around the eye. This We Love Eyes Cleansing Oil is meant to be used the way you would use a typical eye makeup remover. Make sure you wash your hands and remove your contact lenses before you use this product. Apply 2 drops of the oil onto a cotton swab and carefully scrub the base of the lash. You can use this cleanser nightly. There are three key ingredients in the We Love Eyes Eyelid Cleansing Oil, and they are all natural ingredients. The first is tea tree oil, one of the most powerful antibacterial compounds in the plant kingdom. The second is organic jojoba oil, which balances the pores around the eyes and keeps them clean. Finally, there is grapeseed oil, which is an anti-inflammatory product and can help prevent fine lines from developing around the eye. This is a great product to use if you’ve been diagnosed with blepharitis by your optometrist. If you have itchy eyelids, you may have demodex, especially if it’s acute in the mornings. This is a great oil to use to address that issue. This product can also help if you have the consistent feeling like there’s something in your eyes—even when there isn’t. If you have a history of styes and/or bumps on the margins of your eyelids, it’s also a great product to use. 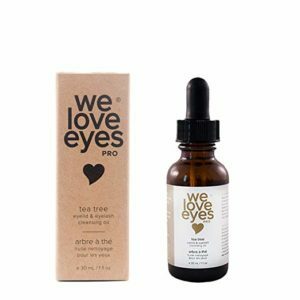 If you’re looking for a dry eyelids treatment that was developed by an ophthalmologist with integrity and experience, choose the We Love Eyes Eyelid Cleansing Oil. This is a versatile product that can be used as an eye makeup remover, preventative care for those with a predilection for styes or demodex, and even those who simply want healthier, younger looking eyes in general. The all-natural ingredients make it a real winner. A popular product for dry eyelids treatment is an eye wipe. These individually packaged wipes make it easier to address any dry eyelid or dry eye issue you may be experiencing. These wipes cleanse the entire region of the eye and can make it easy to prevent eye damage from dirt or debris. 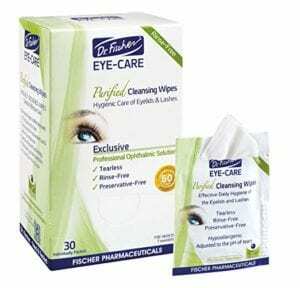 Dr. Fischer Purified Cleansing Wipes are an excellent example of eye wipes that are effective and intelligently designed. Dr. Fischer Premium Eyelid Wipes are made without any alcohol, preservatives, or irritants. They were created to be as gentle and hypoallergenic as possible. The wipes help you get rid of oil, specks of dirt or dust, secretions from the ocular glands, and crusted matter. These wipes are also effective if you are seeking to remove your make-up, especially around your eyes. They make it easy for you to do so without any additional irritation. Dr. Fischer’s Eyelid Wipes are formulated with polysorbate 20, disodium phosphate, laurel glucoside, and sodium chloride. This dry eyelids treatment was designed to mimic the conditions within your eye. There is also the extract of chamomile, which adds a calming, and redness reducing effect. The combination of chemical and natural ingredients makes this product highly effective. These are well formulated wipes that can be used to combat serious issues with your eye. If you suffer from blepharitis, these wipes can be helpful. They can also be useful for conjunctivitis, styes, and dacryocystitis. Individuals who have chronic irritation in their eyes because of allergies or hay fever can also benefit from using this product. Even those with computer vision syndrome have experienced success using these wipes. Dr. Fischer’s Eye-Care Purified Cleansing Wipes are an excellent choice for those who are looking for a dry eyelids treatment when they are on the go. 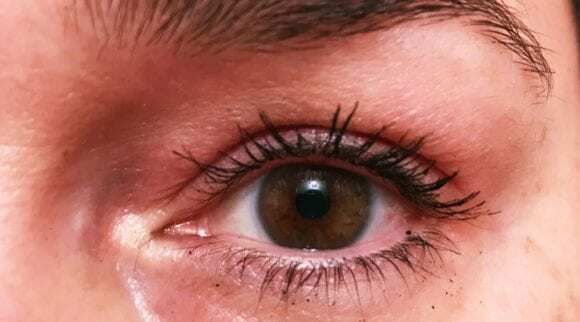 Having a serious episode of dry eyelid when you are traveling or have to perform your daily tasks and work can be very distracting and painful. Dr. Fischer’s wipes are the go-to product to prevent these mishaps or relieve them when they do arise. One approach to dry eyelids treatment is creams. By moisturizing the skin around the eyes, and eyelids, individuals can experience less dryness in their eye. 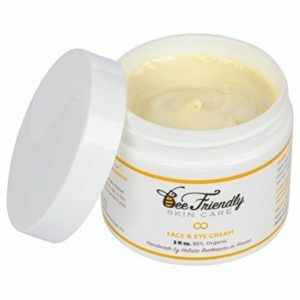 An excellent product for moisturizing the eye is BeeFriendly Face and Eye Cream. It has been certified by the USDA as an organic moisturizer. It’s been one of the most popular products for keeping your eyes moisturized because of the high-quality ingredients. To have an excellent moisturizer, you need a cream that has high-quality ingredients that are appropriate for your skin type. The central ingredients of this moisturizer come from bees. Beeswax, pollen, and honey all have been demonstrated to have healing properties. Because using ingredients from bees are so potent, these creams often work for any skin type. This cream is so versatile, it can be used during the day or the night, applied all over the face. It has been found be particularly effective for the eyelids and for the skin behind the ears. Key ingredients in this dry eyelids treatment include raw honey, beeswax, propolis, bee pollen, and organic olive oil. Raw honey is a coveted ingredient because of its antibacterial properties. Sugar has a powerful antibiotic effect, which is why sugar scrubs are so popular. Honey can play a similar role. Beeswax is another incredible ingredient in this dry eyelids treatment that is known for its moisturizing characteristics. Propolis is a different kind of wax that the bees create. It is thicker and stickier and is used to seal up the hives and keep them waterproof. Bee pollen has a diverse array of nutrients and is said to help individuals stave off allergies. Finally, olive oil is a powerful moisturizer that is balanced enough to produce positive effects in all skin types. BeeFriendly Face and Eye Cream is an excellent dry eyelids treatment for individuals who are suffering from dry eyelids. It could also be useful for those who have generalized dryness on their face. The product was developed for a range of uses to improve your eye health. This product is made with very high-quality ingredients that are all-natural. This means that it’s easy to identify exactly what you are applying to some of the most sensitive areas of your face, which can be very useful if you have sensitive skin. Plus, bee products have been shown over and over to be effective. Bee Friendly Face and Eye Cream is a great product for anyone seeking dry eyelid treatment. This original scrub comes on pre-moistened pads, making the application of this formula straightforward. It removes all oil and debris associated with dry eyes. The product was formulated without alcohol or dye, making highly hypoallergenic. It can help treat mild to moderate eyelid conditions. The original formula of this scrub was developed for those who had been suffering from ocular surface disease. It helps address the needs of those suffering from a range of conditions that require dry eyelid treatment. Because it is so effective, it’s one of the most commonly recommended brands of eyelid cleansers by doctors. These cleansing pads differ from the “PLUS” formula because it is necessary to wash off the cleanser thoroughly after applying the pads. The plus formula is leave-on. The key ingredients of this formula include PEG-80 sorbitan laurate, sodium trideceth sulfate, and PEG-150 distearate. These ingredients ensure that the eyes maintain their moisture and reduces irritation in and around the eye. This dry eyelids treatment also removes the debris, oil, and old skin cells that can cause significant issues. This is another excellent product if you suffer from blepharitis. If you’re someone who travels often, you’ll want to use this product because it is easy to apply the pads no matter where you are, and their small package makes it easy to stick them into your bag when you’re on the go. This product can help if you have consistent dry eyes, or if you are quick to develop styes. 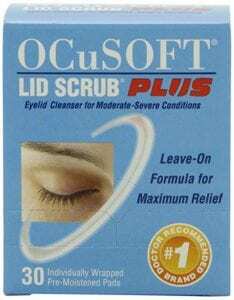 It’s a great product to use for daily eyelid hygiene and mild conditions of the eyelid. There’s a reason why OCuSOFT has been such a popular choice for individuals suffering from the wide range of conditions that can cause dry eyes, dry eyelids, irritated eyes, or other issues that make it hard and painful to keep your eyes open. Look to these pre-moistened pads when you want a dry eyelids treatment that is easy to use and can travel with you wherever you go! Are you suffering from dry eyes or dry eyelids and are looking for relief? If you have issues associated with pollen, ragweed, grass, animal hair, and dander, this lid scrub can help. 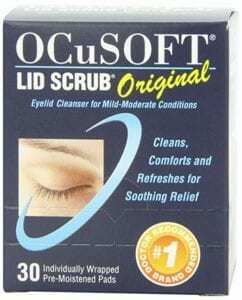 This lid scrub is great for eye care and eye drops. It uses a preservative blend to ensure that it remains antibacterial throughout the time you are using the product. Instead of washing off the product after use, as you do with the original formula, the PLUS formula was developed to be applied to the eye and remain there. OCuSOFT is a popular brand that has been recommended by opthalmologists for a long time. This formula differs from the original formula, however. This formula removes oil, debris, and desquamated skin from the eye and eyelid area. 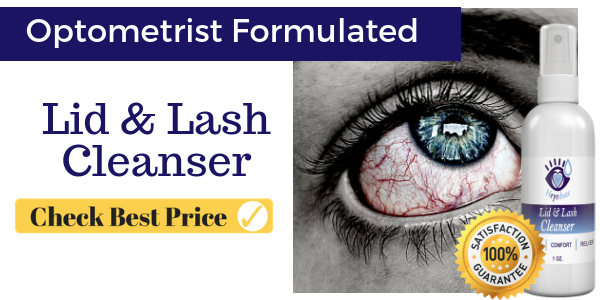 This is a great dry eyelids treatment to use if you have moderate or severe eyelid conditions like blepharitis, especially if your blepharitis is causing frequent corneal abrasions. The key ingredients for this formula include modified ringer’s solution, POE-80 sorbitan monolaurate, and methyl gluceth-20. A ringer’s solution is a solution of several salts dissolved in water to create an isotonic solution. Typically, it includes sodium chloride, potassium chloride, and calcium chloride. This special solution is the part of the PLUS formula that makes it distinct from the original formula. This lid scrub is an excellent dry eyelids treatment to use if you’re someone who has serious issues with their dry eyes and dry eyelids. Many individuals who have been using a variety of doctor prescribed medicines find huge relief when using this product. It’s also shown to be effective for those who suffer from allergies or other symptoms related to allergic reactions. If you’ve been experiencing chalazions, these cleansing wipes can also help. 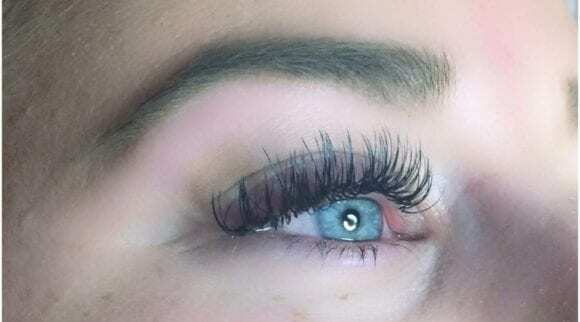 When you’ve been struggling with issues related to dry eyelids for a long time, you are going to want to give this dry eyelids treatment a try. It’s been a popular choice for dry eyelids treatment for a reason. There’s a lot of evidence that this product can truly transform certain conditions and allow individuals to truly alleviate their suffering. For this reason, it’s an excellent choice. 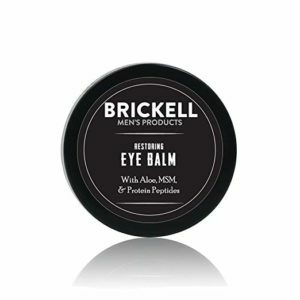 Are you looking for a unique treatment that can help transform your eyes and reduce inflammation or dryness around the eye, consider Brickell Men’s Restoring Eye Cream. This unique formula was created with the unique needs of men in mind. This company was created in 2014 to create excellent skin and grooming products for men. This dry eyelids treatment can help you tighten the skin around your eyes as well as reduce dark circles underneath the eyes. You can also rejuvenate dull, tired eyes, reducing puffiness and bags. To use this restoring eye cream, you should apply it underneath your eyes in the morning and at night. The recommended amount to use is about the size of a pea. This eye cream was formulated to absorb quickly into the skin and maintain a lightweight presence underneath the eye. Once you’ve applied the cream under your eye it will not leave any greasy residue. There are four key ingredients in this formula. The first is matrixyl 3000, which is a blend of proteins that can help boost your collagen production. One study even showed that the ingredient can reduce wrinkles by 45%. MSM, also known as methylsulfonylmentahne is a nutrient found in greens like spinach or kale. It helps reduce redness or other pigmentation issues that can arise from aging. Hyaluronic acid is another important ingredient in the formula. It is a unique molecule that can retain 1000X its weight in water. This makes it an amazing skin hydrator. Finally, caffeine is the final ingredient in the formula. This natural stimulant increases blood circulation around the eyes, which can help reduce puffiness and dark circles. If you’re not happy with the skin around your eyes, this dry eyelids treatment can be very useful. It’s a natural and organic anti-aging formula that can help you reduce circles and under eye bags. It can also help you decrease puffiness and wrinkles. The formula is focused on decreasing dark circles and tighten skin around the eyes. When you want a high-quality product that can improve the skin around your eyes and is specially formulated to meet men’s needs, this an excellent choice. This dry eyelids treatment was created to help you treat the skin around your eyes with care. The products you use can definitely contribute to the overall health of your eye and be a powerfully effective dry eyelids treatment. These are some of the most amazing products on the market today to help individuals who are suffering from dry eyes or dry eyelids. This frustrating condition is common but can often be treated and eventually completely eradicated. 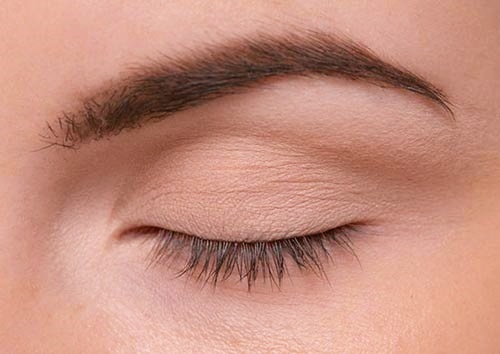 All you have to do is find the right dry eyelids treatment for you. Taking a close look at the ingredients of these products and understanding what the cause of your particular condition is can help you find the right one.